"text.txt": "this is simple txt file"
In this example, a «template» parameter is used instead of «html» and «text» parameters. Additionally, a new domain verification code will be sent to the specified email address. 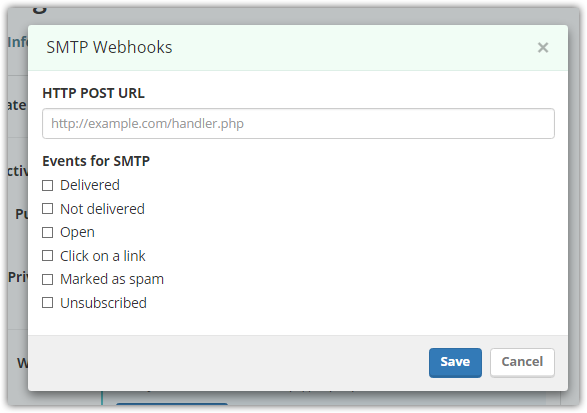 WebHooks is a mechanism used to receive notifications about certain events. 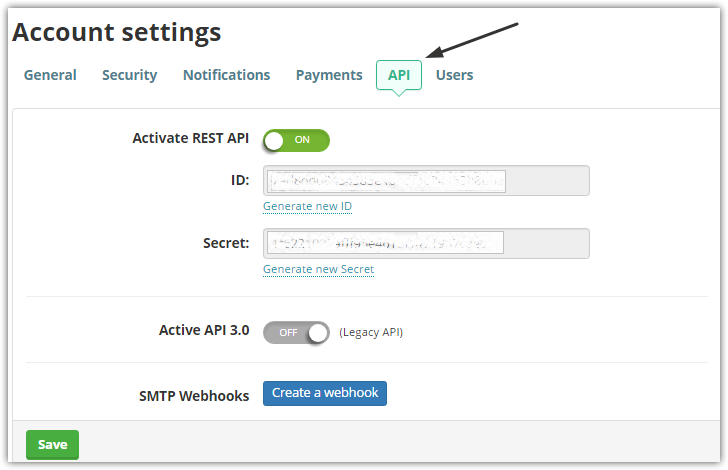 To add a webhook please go to "Account settings" → "API". Enter the URL where the notifications will be sent to and specify the events for them. The data is sent every minute or when the number of event count reaches 100.